WeLoveBigBrother.com spoke with Jeff Schroeder the morning after his eviction from Big Brother 11. Read what he has to say about the remaining houseguests, Jordan, and his expected time in the jury house. Hi Jeff, this is Brian Scheffler from WeLoveBigBrother.com. I think we saw the biggest reaction from a live audience last night when you walked out the front door. As the winner of the Coup D’Etat you must have expected that you had some fans out there, but were you shocked to receive a standing ovation during your eviction walk? Jeff Schroeder: OY, YEAH. I WAS BLOWN AWAY BY THAT KIND OF RESPONSE. I DIDN’T REALLY KNOW ABOUT THE STANDING OVATION THING (I THOUGHT THEY DID THAT FOR EVERYONE) UNTIL JULIE MENTIONED IT. IT DEFINITELY EASED THE PAIN A LITTLE BIT COMIMG OUT OF THE HOUSE… A RESPONSE LIKE THAT. WLBB: How do you think Jordan will handle her remaining time in the house without you, both emotionally and with game-play? JS: I THINK SHE’LL BE ALRIGHT. THERE’S ONLY A COUPLE OF WEEKS LEFT… I THINK THE FIRST DAY OR TWO WILL BE THE WORST FOR HER TO GET OVER THE SHOCK OF ME LEAVING. BUT, AFTER, I THINK SHE’LL ADAPT TO THE SITUATION AND, HOPEFULLY, KEEPS HER HEAD AND MAKES IT TO THE FINAL TWO. WLBB: via @hawkeyefan91 on Twitter.com/wlbb: If you never met Jordan and never became close with her, would you have made it this far in the game? Or did she help you in the game? JS: JORDAN HELPED ME EMOTIONALLY AND WITH MY MINDSET. I COULDN’T IMAGE THE GAME WITHOUT JORDAN (CONSIDERING I’D NEVER DONE IT BEFORE… SO, I DON’T KNOW ANY OTHER WAY). WLBB: When you found the key to release Kevin from Pandora’s Box, were you hoping it held another “wizard power” to help you in the game? JS: ABSOLUTELY… NOT ONLY WAS I HOPING… I WAS DEPENDING ON IT! WLBB: If you had the chance to exchange all of your extra prizes from competitions for a pass into next week, would you have taken the risk to stay at least one more week? JS: ABSOLUTELY… WITHOUT QUESTION… I FEEL IF I’D HAVE STAYED ONE MORE WEEK, I WOULD HAVE WON THE GAME. WLBB: On the show you stated that if you don’t win you would like to see Jordan win the game. Who does Jordan have the best chance of winning against in the final two? And do you see that as a possibility or reality? JS: I FEEL THAT JORDAN HAS THE BEST CHANCE OF WINNING AGAINST NATALIE IN THE FINAL TWO… ONLY BECAUSE NATALIE HASN’T DONE ANYTHING THROUGHOUT THE GAME AND JORDAN AT LEAST WONE ONE HOH AND POV ALONG THE WAY. YES, I SEE THAT AS A POSSIBILITY. WLBB: Do you still intend to take Jordan to a Bears game? You’ll be happy to know that the football season is starting up because a Bears pre-season game interrupted your eviction in our area but we’ll watch BB11 when it airs at midnight! JS: OH, FOR SURE… WOULD LOVE TO DO THAT! WLBB: via @OliviaRoy on Twitter.com/wlbb: Would you ever consider doing The Amazing Race with Jordan? WLBB: via @AmandaGlov on Twitter.com/wlbb: Since you won the trip to hawaii, are you planning on taking Jordan? JS: THE HAWAII TRIP IS STILL A QUESTION MARK …IF SHE WINS, IT MIGHT SWEETEN THE DEAL …KIDDING. 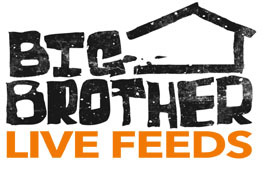 WLBB: Thanks for taking the time to talk to WeLoveBigBrother.com!